When will be Twin It to Win It next episode air date? Is Twin It to Win It renewed or cancelled? Where to countdown Twin It to Win It air dates? Is Twin It to Win It worth watching? Imogen and Amelia are identical twins and they are taking on the challenge of competing in the Dwarf Games this summer. Amelia and Imogen have to learn how to manage a team. Luckily, manager Nick Cushing, England striker Nikita Parris and The Dumping Ground's Lewis Hamilton have some top tips. Amelia and Imogen are trying their hand at goal keeping. Newcastle goalie Nathan Harker and Lenna from Jamie Johnson help the twins out. The twins get some final tips on scoring from Chelsea's Fran Kirby and YouTubers Max and Harvey as the day of the T'World Cup match arrives. The twins are learning how to become a referee and meet Yasmin Saeed, one of the youngest referees in the country, and Ben Shires from MOTD Kickabout for some help. 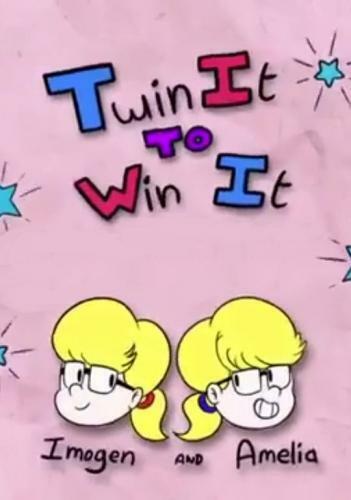 Twin It to Win It next episode air date provides TVMaze for you. EpisoDate.com is your TV show guide to Countdown Twin It to Win It Episode Air Dates and to stay in touch with Twin It to Win It next episode Air Date and your others favorite TV Shows. Add the shows you like to a "Watchlist" and let the site take it from there.